When I returned to work following my recent holiday I asked a friend if they'd missed me. His response was that no he hadn't because every time he'd logged onto Facebook there was a photo of me in 'those stupid Minnie ears'. Whilst I hope you don't feel the same about 'those stupid ears' I'm sure if you follow me on Instagram you'll have been following my recent trip and I hope you will enjoy a series of posts about my Disney travels. Before I go on there are two pieces of admin to address. First I'm well aware that in the past I would enthusiastically start posting about my trips and then they would disappear. Case in point my Dubai trip last year. I do plan on finishing that series by way of 'throwback Thursday' or similar but where my Disney trip is concerned I do plan to be consistent. I love lifestyle posts and I enjoy writing them but there are often so many photos to work through and edit that they can be more time consuming than beauty ones for example. Secondly I am referring to this as 'My Disney Holiday' as it was of course very Disney heavy but... In the lead up to my trip and even those previously I'd always say I was going to Florida, or Disney but that trip actually was located in Orlando and included visits to the Universal Studios parks. I'm sure you get the deal and each post will explain itself. Today's post or Day 1 will be a little background on my Disney travels previously, the lead up to our trip and reasons for as well as a review of sorts on our accommodation, The Staybridge Suites in Lake Buena Vista as we all know day one of any trip to Florida involves a lengthy ten hour flight from Gatwick to Orlando Florida so there is very little to talk about or show otherwise. I have been lucky enough to visit Orlando Florida on a number of occasions over the years, with friends, adults, younger family members and my brother. I've always visited as an adult but that has not dampened any of my experiences. Likewise my brother and his family have been many times, this was my sister in law's thirtieth trip as she has been going since a child and during her years as cabin crew for BA. It was even my nieces second and nephews third at their young ages. Yes they are lucky children. The reason for this years trip was so that my brother could participate in the RunDisney Half Marathon. The timing worked perfectly for my niece Violets 5th birthday and of course who needs an excuse to visit Walt Disney World. We booked our holiday over a year ago and whilst I dithered at the time due to some upheavals at work I couldn't resist for long. My brother and his family had booked to stay at the Buena Vista Palace Hotel at Disney Springs having stayed their the year before. The location was perfect for their needs and being able to walk over to Disney Springs and pick up shuttles to parks was a great draw. Unfortunately for me a solo traveller the cost was prohibitive. Were my Disney dreams lost? Of course not. With the help of Google Maps I was able to find a more affordable price for accommodation at the hotel next door, The Wyndham Lake Buena Vista. Whilst I was blogging during my previous trips, in fact my first ever trip very muck kicked off my blogging journey over seven years ago I'd never been really been into the whole travel blogging aspect till this point. 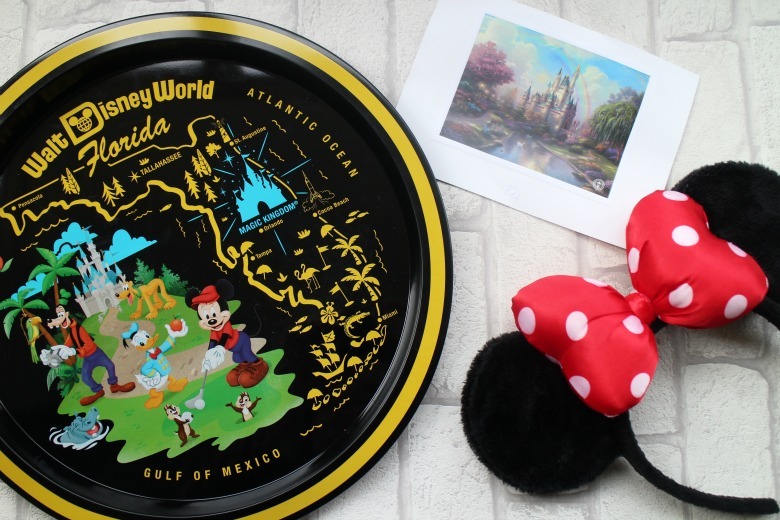 I joined Disney Blogger Twitter Groups, discovered The Dibb Forum and realised very soon how seriously people take their trips to Walt Disney World and quite frankly my enthusiasm for Disney travels was very much level 6 compared to others. Luckily immersing myself in this world meant I discovered that my brothers hotel were undergoing some extensive renovations which were leading to many complaints from their visitors. After discussing with my brother and SIL we decided to look at alternative accommodations and where possible somewhere that would house all five of us. We decided upon the Staybridge Suites at Lake Buena Vista which I had stayed at some years before with my aunt, uncle and two cousins. Staybridge Suites are available with two bedrooms, sofabeds, kitchens and the like as well as a free breakfast offering and the price was perfect for us. My SIL was happy with the location as our driver and so we booked up. Our choice worked perfectly for us and I'd highly recommend to anyone looking for an alternative to a Disney resort or villa for their stay. When I'd stayed previously our two bedroom suite had one room with two double beds. Unfortunately that wasn't the case this time and whilst we queried with the front desk they said we had what we booked. It wasn't a big issue, especially for only one week and I was happy on my sofabed, in fact it was quite comfortable that I just slept on the sofa but of course if you're travelling for longer or with a bigger group then having a bed in the front room might prove an issue. The location of the Staybridge Suites allows you to leave your car behind for the day. Across the road is a Walgreens for any beauty or snack needs, there's a Steak and Shake and lovely Italian to the left and to your right is a Winn Dixie Supermarket and Papa Johns where we visited on our first night. Every day is a basic breakfast featuring eggs, a meat, some sort of potato as well as some continental offerings and your usual breads and bagels for toasting. Handily they offer takeaway plates and cups if you prefer to pop down in the morning and return to your room to eat. This worked out well for us, whilst my brother enjoyed sitting in the restaurant to eat me and my niece and nephew loved to pop down and fill a plate with crispy bacon we'd snack on whilst getting ready. Theres a lovely pool area which we didn't take advantage of and they even have an evening social which I spotted one evening and looked delicious with barbecued burgers and salads - all for free. Returning to the day itself after our long flight which took saw me taking four hours to watch one film due to my niece being my very chatty travelling companion and arriving at The Staybridge Suites we checked in and visited the aforementioned supermarket for some essentials. Tired and weary from our travels we ordered pizza from Papa Johns, returned to our room, watched some American TV and crashed out ready to start our adventures bright and early the next. HAHA on this occasion it wasn't Ben, he did mock my snazzy new trainers tho!